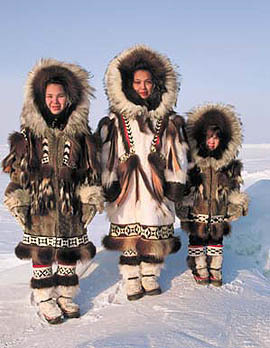 The First Festival "Children of the Arctic" was organized in 1991 in the following towns: Moscow, Vorkuta and Salekhard. The participants included children from tight foreign countries and twelve northern regions of Russia. The children were greeted by M. Gorbachev, the former president of the Soviet Union. The Second Festival "Children of the Arctic" was organized in 1994 in the following regions: Moscow, Kostomuksha, Kukhmo (Finland). The participants included children from three foreign countries and eight northern regions of Russia. President of Russia B. Yeltzyn greeted the participants of this Festival.